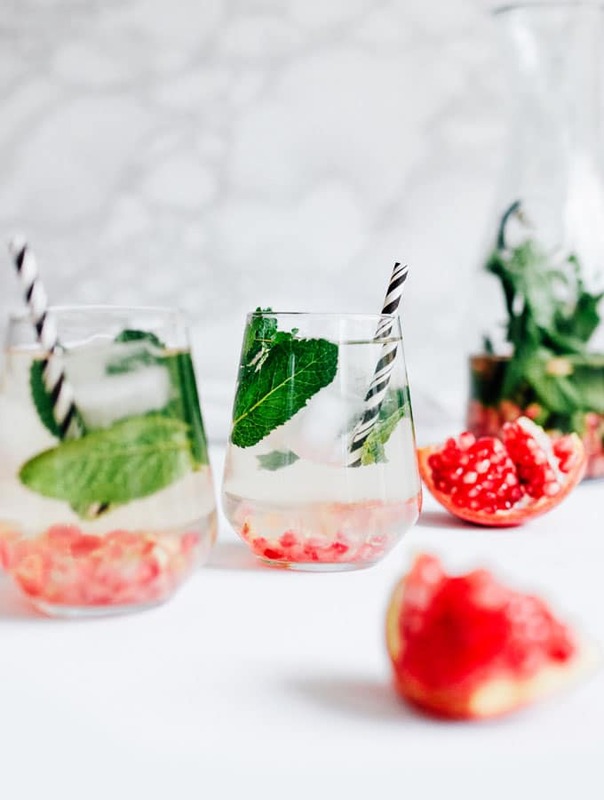 This Pomegranate Mint Water is quick to whip up and so refreshing – the perfect hydration for after those heavy holiday meals! With the holidays upon us, I’ve already designated which stretchy pants will look nice while also allowing maximum room for the very full belly that’s bound to ensue. And while I wouldn’t change a thing about that so-full-you-could-burst post-meal feeling (that’s part of the holidays, right?) I do like to prep some helpful remedies for after the overindulgence. My usual go-to is a healthy green smoothie, which packs in a lot of hydration and nutrients. 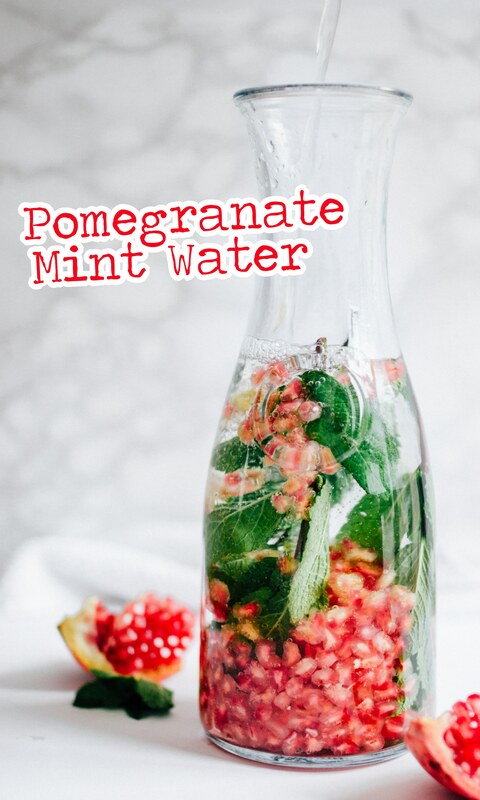 But for an even easier recipes, I like to make this Pomegranate Mint Water! It has just four ingredients and is so refreshing after a big meal. Making this pomegranate infused water is ultra-simple. You’ll add some fresh mint to a pitcher. Gently muddle it with the end of a wooden spoon to release some of those delicious minty oils. Then add pomegranate seeds, honey (if you want it), and water. Stir to mix it all together and drink up, adding a bit of ice if you want it nice and cold. Stir: Add mint to a pitcher and muddle with the end of a wooden spoon. Add remaining ingredients (honey optional) and stir to combine. Serve: Serve chilled, optionally over ice. *Coconut water also works well in this recipe! I first published this recipe over on Amanda’s Cookin’, where I’m a contributor. 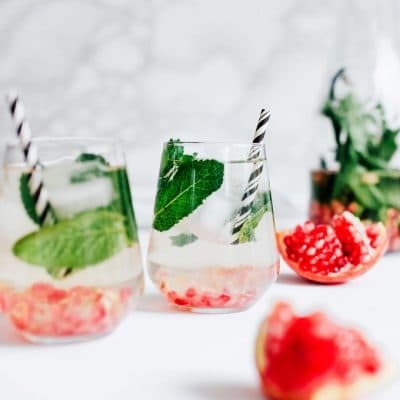 Thanks so much for dropping by and for making easy recipes like this Pomegranate Mint Water possible! Hahah, exaaaactly how I was feeling. So. Much. Food.